We offer weekly trial classes at our International Plaza branch; these are 30min FREE classes conducted for Guitar, Keyboard, Voice, Ukulel Drums and Cajon. Visit this link to reserve your slot! Alternatively, you can choose to sign up for our XP Trials at $99.90 for 3 X 60min weekly trial classes - available at all branches before the start of every new term - click the Timeslots tab of your preferred XP Trial course to find out the commencement dates. Should I join Believer Music? Experience professional practice studios and well-trained passionate coaches. Most importantly, our superior syllabus is designed to sustain your wholehearted learning interest. Having trained over 23,000 individuals, we stay committed to inspire you every step of the way to achieve your success. Our Online Make-Up Scheduler allows you to attend another lesson within the same week of absence. What happens if I am unable to keep up with the lessons? Slower performing students are precious to us. Our coaches will assess your needs and make authorizations for extra lessons. We have seen many miracles happen. Do you offer individual coaching? We specialize in group coaching as it makes the learning more synergistic, encouraging, fun, and instils confidence while playing in group settings. Which Guitar, Electric Guitar, Drums or Keyboard should I purchase? We have hand-picked some of the best-valued musical instruments at special prices for you. Upon registration, select our recommended instrument packages to enjoy the Special Online Price. Your fees are already amongst the lowest in town, how else can I lower my course fees? Register early before a new term and enjoy $20 Early Bird Discount for all basic modules. Upon signing up for your first course, you will receive a Share & Earn code found in your Member’s Portal. Earn unlimited BM$ to offset any future course fees by sharing your unique code with your friends! Are the course fees the same for all branches? Yes, our course fees are uniform across all branches. Expect seasonal promotions from time to time as well. I’m interested! How do I sign-up? 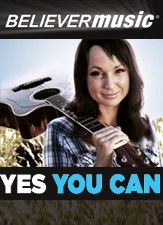 Sign Up Online 24/7 at www.BelieverMusic.com or over-the-counter at any of our branches. We accept Online Payment using VISA/MasterCard or Over-The-Counter via Cash/Nets/VISA/MasterCard/AMEX. Can I pay monthly for my course fees? Yes! With any Visa/MasterCard credit card issued by DBS/POSB or UOB, you can choose to pay for your course fees on a monthly basis, via the tenures made available by these banks. Pay Online (DBS/POSB Credit Cards Only): From October 2014, our secure online payment gateway processes interest-free installments for DBS/POSB credit card holders (choose 6 or 12 months interest-free payments for transaction amounts $500 and above). Pay Online (UOB Credit Cards Only): From December 2014, our secure online payment gateway processes interest-free installments for UOB credit card holders (choose 3, 6, 9 or 12 months interest-free payments for transaction amounts $500 and above). Over-The-Counter @ our branches (DBS/POSB & UOB Credit cards): You can enjoy 6 or 12 interest-free installments for transaction amounts $500 and above. Do you offer corporate team-building programs? Yes, we have customized programs that cultivate team bonding and enriches working professionals. Email Recreation@BelieverMusic.com to enquire today!